With the way the economy has been everyone seems like they're constantly looking our for ways to save or reduce spending on entertainment. A major way to cut back is by hanging out with friends at home instead of going out to eat and just having a good time. I'm a big believer in that the greatest moments are shared at home with those you love. So I've put together a list of different ideas that you can do in order to hang out with friends and save money at the same time. 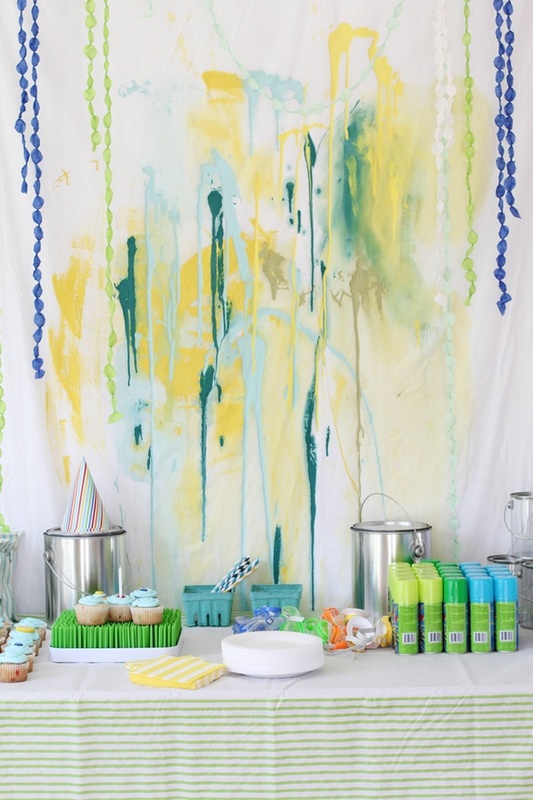 These are themed "get-together's" that can be done with just a couple of friends as well as a bigger bunch. A paint party is a great way to let loose, relax and spend some time with friends. The bonus of course - everyone gets to take home an incredible, handmade piece of art. 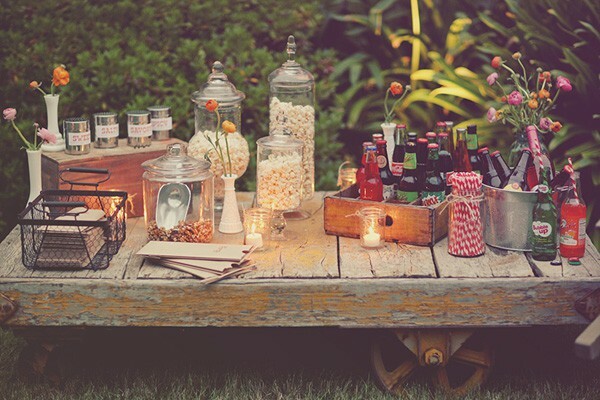 A classic movie night, with this cute cart to display all of the movie watching essentials like: popcorn, soda, straws and nuts to snack on. A manicure party is an awesome idea! Get a few of your closest girlfriends, bring out all of your nail polish colors, bake cookies and brew some coffee. You're ready for the party! 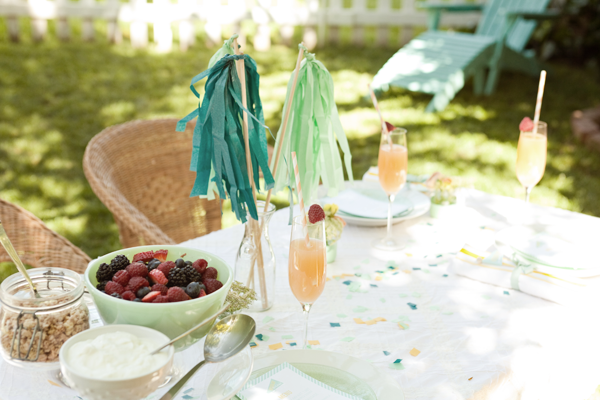 A simple brunch with girlfriends is a great way to catch up and enjoy the beautiful weather outside, complete with fresh fruit, mimosas, and simple decoration to set the mood.